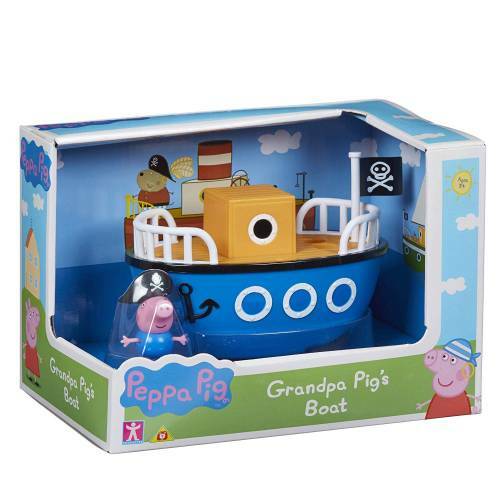 Bright coloured Grandpa Pigs boat. 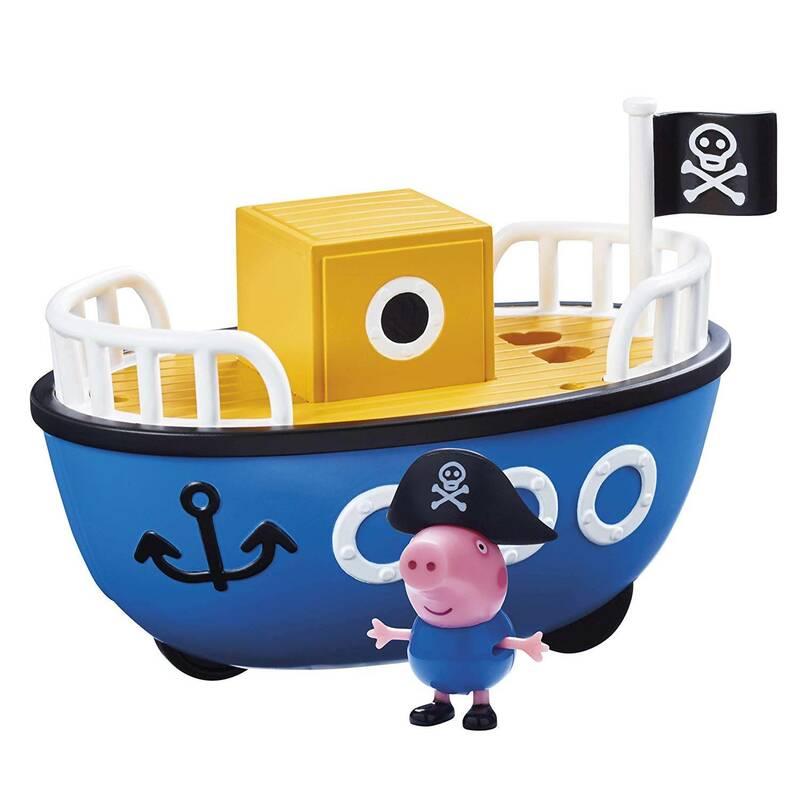 Cute and chunky classic Peppa styling. Includes articulated George Pig in pirate hat!